Your wedding day is one of the most special and important days of your life and when it comes to your wedding cars they need to be perfect. You need a service that you can rely on - not only to deliver you to the church on time in style and comfort, but to also make you feel like king and queen for the day! We are proud to offer wedding cars in Edinburgh such as the black Mercedes S-class and silver Mercedes V Class with professional drivers to accompany you on your wedding day in Edinburgh. Picking up from house or hotel going to ceremony wait drop off at reception. Based on minimum wedding car hire 3 hours in Edinburgh. 1 car Black Mercedes S class including vat £210. 1 car Black Mercedes E class including vat £190. 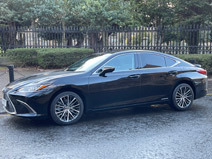 1 car Black Lexus GS including vat £190. 1 car Silver Mercedes V Class £190. £60 per car non refundable deposit required and non refundable balance due 1 week before your wedding. Includes ribbon of your choice. 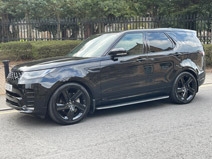 Butlers Chauffeur Drive organised our wedding transport including coaches, mini bus and limousines, They were efficient, prompt, with spotless luxury vehicles and a clear and competitive pricing structure. Additionally they were user friendly, reliable and delivered a great service - I'll go to them first for a quote anytime. Dr John Garner.